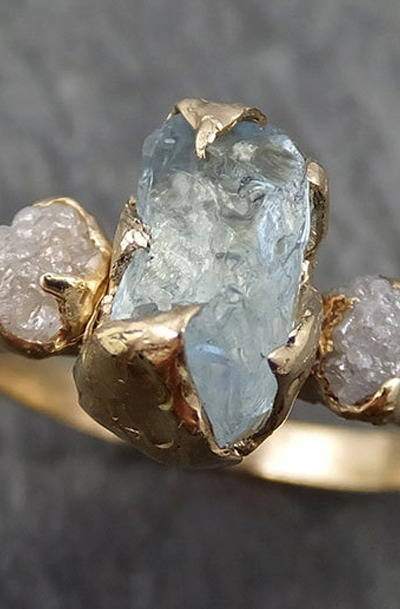 Raw rough aquamarine surrounded by two raw conflict free diamonds. I hand carved this ring in wax and cast it in solid 14k gold using the lost wax casting process. This one of a kind raw gemstone ring is a size 6 1/2 it can be sized. The aquamarine stone measures about 10mm X 5mm. The rough diamonds are about 4mm.